I took a trip to San Francisco, CA on 6-12-2015. 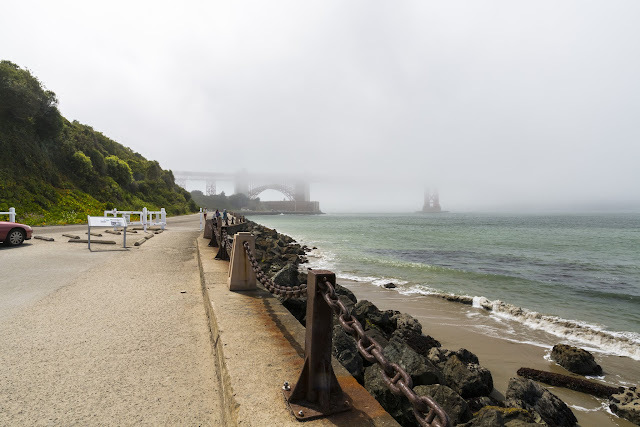 I went to Fort Mason, Crissy Field Marsh, Torpedo Wharf, and Golden Gate Bridge. I will show you the photos I took on this trip. 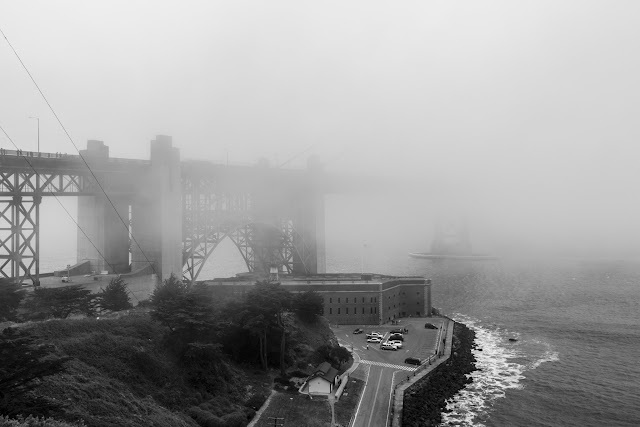 The Golden Gate Bridge happened to be surrounded by heavy cloud cover that day so you will see photos of that too. The photos will be split into several sections. If you are looking for my vlog, you can view it here. Full Resolution Photos: If you want to see full resolution photos of any of the photos you see here, use the following links. If you wish to purchase prints of any of the photos, please contact me here. 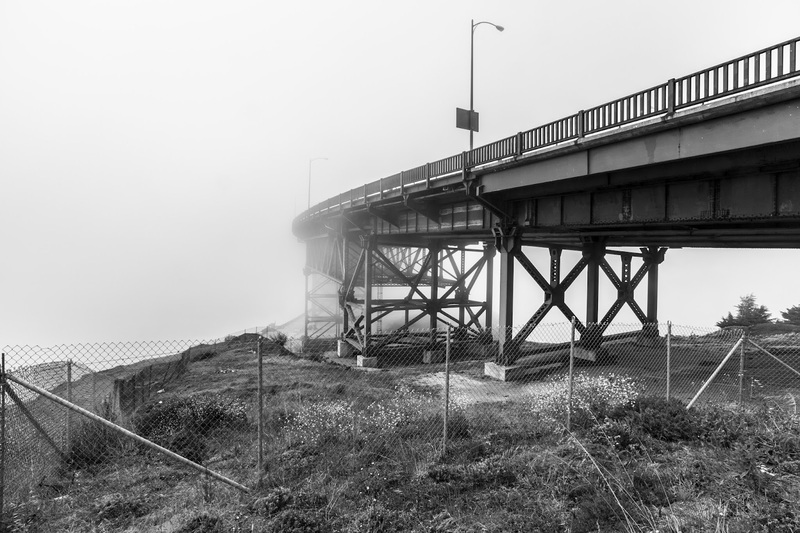 To view my best San Francisco, CA photos for 2015, use this link. To see all of my photos from this trip, use this link. 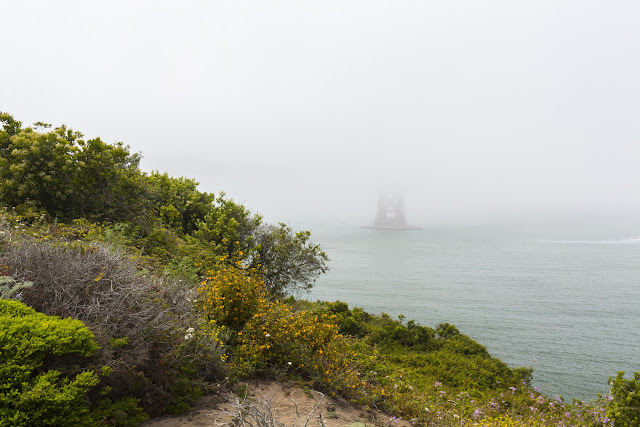 The photos for today are from my hike up to the Golden Gate Bridge. You will get to see a lot of fog photos in this blog post. Message From the Photographer: Hi guys, if you have been following me on my blog for a while, you will know my Nexus 5 broke on me, and a smartphone is very important in my photography. Anyways, my parents had a Nexus 6 they didn't want anymore because it is too big so they gave that to me. Good thing is I have a new phone, bad thing is I am still a broke college student. Most of my photography equipment is my parents'. I had to get some new accessories Nexus 6 like getting a new charger due to the larger capacity battery, new USB cables, phone case, pouch, etc... These things cost me out of pocket quite some money. I am not asking for donations, however I am trying to source some funds to help cover these costs. Do you shop on Amazon? Please please please bookmark my link and use it when ever you make a purchase. You only have to use within the past 24 hours before making a purchase for it to work. I participate in the Amazon Associates Program, so Amazon will pay me a small commission for every sale I generate through my link. This won't cost you anything extra and the funds go into funding my photography, my videos, and in this case, helping me fund for replacement equipment. Also, you can help me by disabling any Adblockers you have on my website. I have Amazon ads on my blog posts, and those also help with with funding. Thank you guys for reading and as always you can share my photos and blog posts out to your friends and family members as a way to support me. Thanks for reading, I really appreciate it. A photo of Fort Point and the Golden Gate Bridge in fog. Photo shot near Torpedo Wharf. A photo of the Golden Gate Bridge in fog. Photo shot on the side of the trail up to the Golden Gate Bridge. A photo of the Golden Gate Bridge and Fort Point in fog. Photo shot on the side of the trail leading up to the Golden Gate Bridge. A photo of the Golden Gate Bridge in fog from the other side. I don't have a GPS marker on this because my GPS battery died. This is all the photos for today! In the next blog post, I will continue with photos from on top of the Golden Gate Bridge, my hike back down, and scenery from Torpedo Wharf. I hope you have enjoyed the photos! Please don't forget to share with your friends and family members! Also, if you want to get notifications when I post up more photos, "Like" us on Facebook or follow me on Twitter and Google+. These links can also be found on the top of the right sidebar.